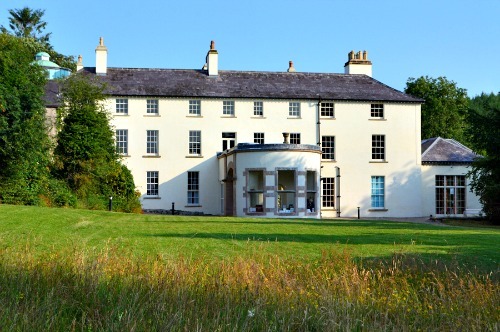 Lissan House was built around the year 1620 after Thomas Staples moved from the south west of England to the area in 1610. He leased large amounts of land in the area and started construction on his family home a few years after arriving in the area. When the house was officially finished is unknown, but it is recorded as being on a Thomas Raven map drawn up in 1622. The Staples family continued to live at the home until the death of the last descendent who died in April of 2006, her name was Hazel Radclyffe-Dolling (née Staples). The home is known as having the longest single occupancy of the same family in a country house in all of Ireland. Today it is a historic house open to the public as a tourist attraction, and sitting at the bottom of the Sperrin mountains within an area of ancient woodland, it is an impressive place to visit that offers a true feel to the history of Ireland. If you wish to visit please check with the venue directly to check any seasonal opening times. Since the Staples family stayed at the same home for over 400 years, you can only imagine how happy they were here, which seems to be the reason that some of the families members have refused to leave. All the ghosts at the house are thought to be members of the Staples family, and since there were no major tragedies at the house, it seems safe to say there is no reason for any other spirits to have "moved in". The house has known to have been haunted for some time, but most of the stories have come from the families last member who passed away in 2006. Hazel Radclyffe Dolling was the last Staples descendent to live at the home and told many guests and visitors her strange experiences while living there. One such odd occurrence which happened on a regular basis was the sounds of heavy footsteps walking around the house after dark, this happened on so many occasions that after a while she didn't even get up to check if anything was there. Also sudden unexplainable cold spots popping up in random areas of the house was also something she claimed happen regularly. Visitors to the house have often reported the smell of lavender and rose around the areas of the upstairs bedrooms, which was a common way of scenting the house in the earlier years, with servants often bringing them in on a daily basis. The only other paranormal activity reported from the house seems to be from the spirits of children. The sound of a young child crying has been reported to come from empty rooms in the house, and one guest even claimed to have seen the apparitions of a group of children playing in the upstairs corridor, only to disappear into nothing when approached.